MENGO – Futsal Uganda Cup defending champions, Luzira Thunders will take on Crown in the round of 16 Futsal Uganda Cup. 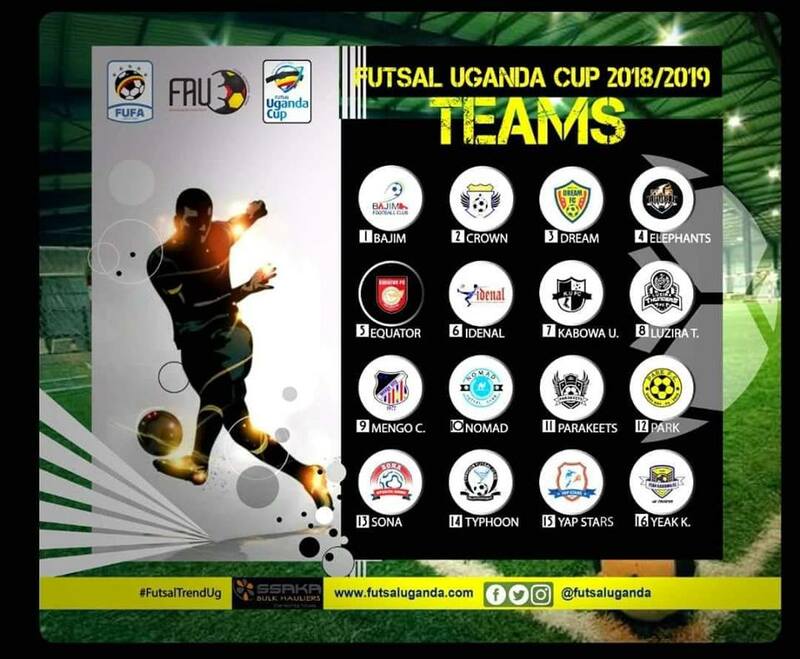 This was confirmed on Thursday evening as the 2019 Futsal Uganda Cup draws were held at the International Futsal Courts in Mengo, Kisenyi. Current Super League leaders Parakeets will tussle it out with Bajim for a spot in the last 8 while Dream and Park face-off in arguably the tie of the round. Last year’s losing finalists Yeak Kabowa will play against Aidenal School of Soccer Art among other draws. Meanwhile debutants Sona, who feature several Sports journalists including PML Daily’s own-Shaban Lubega, will take Nomad. All the games will be played on Thursday 31st January at the International Futsal Courts to determine the quarter finalists. The final of this year’s tournament will be played on May 9th where the winner will walk away with money prize of Two million Uganda Shillings (2,000,000/=).